Since 2003, Maggie has been the Hearing Officer for the 16th Judicial District’s Family Court docket. 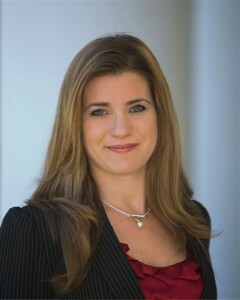 In that capacity, Maggie hears and makes recommendations on all family filings, including custody, child support, domestic violence litigation, spousal support, use of property, community property and any other ancillary issue pending from divorce, custody or domestic violence litigation, including criminal non support. Louisiana State Bar Association, member, 1998- Present. Junior League of Lafayette, 2000-Present, elected President 2015 - Present, President Elect 2014 - 2015, Financial Vice President 2011-12. Also served as Assistant Financial Vice President, Grants Administration Chair, Fund Research and Development Chair, Junior Quiz Bowl Chair, and Opportunity Knocks Chair. St. Pius Elementary School, Auction Committee Chair 2009. Louisiana State Bar Association Young Lawyers Professional Development Seminar, Lafayette Bar Association, Terrebone Bar Association, Louisiana State Bar Association, Association of Family and Conciliatory Courts National Conference Presenter, Inns on the Teche, Women’s Foundation, Genesis Program, and other various organizations.